I suppose it smells just about right. My dog likes it. 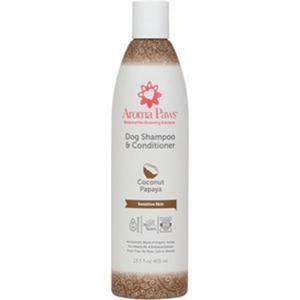 Luxury Shampoo and Conditioner made by Aroma Paws. No chemicals used in this product. 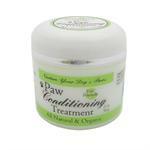 It is made from all natural products. This combination of coconut, papaya, and vanilla is great for Dogs with very long coats. It has extra detangling abilities.